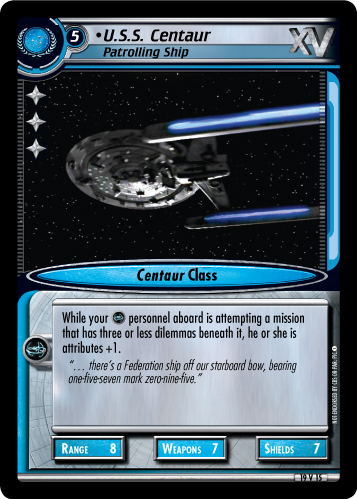 While your personnel aboard is attempting a mission that has three or less dilemmas beneath it, he or she is attributes +1. "... there's a Federation ship off our starboard bow, bearing one-five-seven mark zero-nine-five." 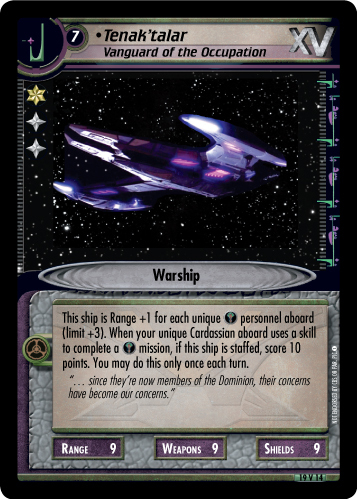 Image Source: Deep Space Nine: "A Time to Stand"